Home / UncategorizedFaux leather: Chic In Interior Design!! 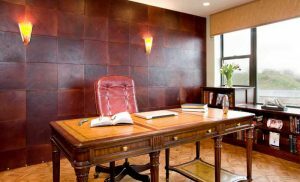 Faux leather has increased its popularity for a various reasons. 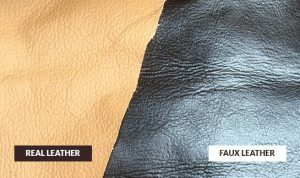 There are two primary versions of faux leather include PVC (hard to clean, not breathable) and PU (polyurethane). PU is synthetic leather and is generally preferable to the PVC because they are more environmentally friendly, breathable, and cleanable than PVC. 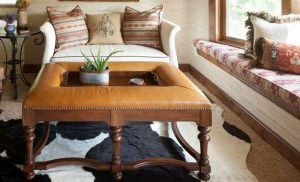 Unlike natural leather, Faux Leather can be manufactured in a variety of colors, styles, sheens, and patterns because faux leather is a synthetic (or at least an altered natural) material. This is useful when working with a specific and/or tight color palette or design scheme. 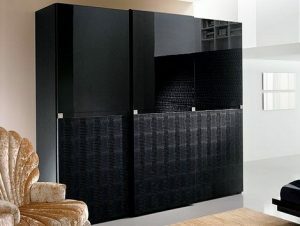 Faux leather is highly durable, without the natural constraints and weaknesses of real animal hide. 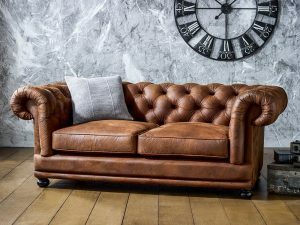 Furthermore, faux leather’s synthetic-ness allows it to resist cracking over time, unlike real leather, which must be conditioned regularly to keep supple.